An internal audit is a process of gathering evidence to determine the degree to which an organization meets a certain set of requirements (e.g. ISO/IEC 17025 or 17020 standards, the supplemental requirements of an accrediting body, or your own standard operating procedures). This type of audit is for internal purposes and is a self-declaration that audit criteria are met. Annual internal audits are required for accreditation to either of the above-referenced standards, and they’re a vital tool in implementing a quality management system. Like a gap analysis, the audit includes a thorough review of policies and procedures to determine compliance with specific requirements, but it also includes questioning employees and reviewing records of activities performed. 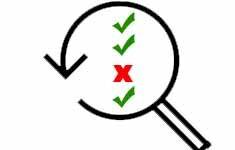 Auditors check to see if the policies and procedures are understood by staff members and have been implemented as intended. Many forensic laboratories have seen the benefit to outsourcing their internal audits. Audit functions can be completed by outsourced staff under the supervision of someone in your agency such as the quality manager. In this manner, your agency gets the benefit of outsourcing the internal audit but maintains control of the process. Any findings of nonconformance, observations, or recommendations are documented and presented to your agency, but the final decision of nonconformance, for example, is made by you. Objectivity and Independence – an outsourced team or individual is often seen as more independent than internal employees. Additional expertise – your agency has access to additional subject matter specialists when needed. Fresh perspective – outside auditors can often see things that are not obvious to internal employees because they don’t “live with it” on a daily basis. Less disruption to workflow – existing employees are not pulled away from their core work duties to conduct the audit. Improved quality – many agencies don’t have access to individuals with the experience and training necessary to perform internal audits. If that’s the case, your agency won’t reap the full benefit of the audit process. Less drama – let’s face it, few employees enjoy having their work scrutinized even when they know that audits are used to improve processes, not people. Outsourcing your internal audit can help your agency avoid this potential issue. WHEN MIGHT YOU OUTSOURCE AN INTERNAL AUDIT? Your organization is not accredited, and, although you’ve prepared for the accreditation assessment, you’d feel better about having someone external to your agency first perform an audit to ensure that nothing big was overlooked. Your organization has no employees that have been trained to conduct internal audits, or you’re not certain that their training was effective. You have a new quality manager with little to no experience who could benefit from assisting outside auditors and learning first-hand how audits should be performed. When internal audits are done properly, the results can be used to make big improvements to the quality of forensic work. The focus should always be on improvement. Call RS&A. 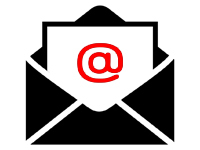 We can help you establish a program for internal audits or provide assistance for an existing program. DO YOU HAVE QUESITONS? NEED HELP? What is a gap analysis? 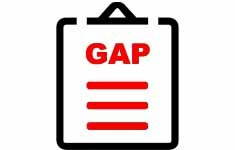 A gap analysis determines the degree to which your laboratory or organization meets a certain set of requirements. You can think of it as a document review. Why is a gap analysis important or helpful? When establishing the documents that describe a quality management system, you want to ensure that the policies and procedures in those documents meet all of the requirements for accreditation to the ISO/IEC 17025 standards or the ISO/IEC 17020 standards. If your agency is preparing for accreditation, you want to know where you stand. Are there any gaps? Maybe your agency is transitioning to a different set of standards, or maybe your agency is already accredited and you plan to add new disciplines to existing forensic services. In either case, it’s a good idea to perform a gap analysis. In providing this service, RS&A would thoroughly review all of the documents provided by your organization to determine the degree of conformance to the requirements of either the 17020 or 17025 standards. Documents would also be checked for compliance with any supplemental requirements of your chosen accrediting body (ASCLD/LAB, ANAB, A2LA, etc). 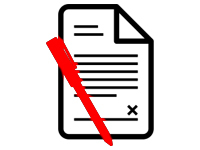 You will be provided with a report that summarizes any gaps between existing documentation and the chosen requirements and will include advice on actions that can be taken to close any gaps. 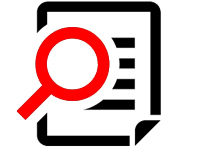 Keep in mind that a gap analysis is a review of documents. It does not give an indication that the system has been implemented, or that it is effective (refer to internal audit services). We find that these two services are often misinterpreted, which is understandable because, they are very similar. A good gap analysis will give your laboratory an objective indicator as to the accuracy of the documents in your quality management system. 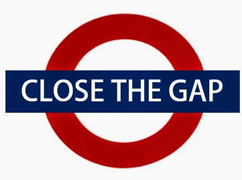 A good gap analysis can prevent wasted resources. No agency can afford to spend time and energy implementing policies and procedures only to realize later that the policies and procedures didn’t address all of the requirements. If you know where you stand, you know where to go.